The triple axle heavy duty aluminum trailer will need the brakes repaired and one light replaced. The tires still have a lot of tread left. The Chart Plotter / GPS screen is faded and will require replacing. The radar works as designed. No tears in the Tee Top or cushions. 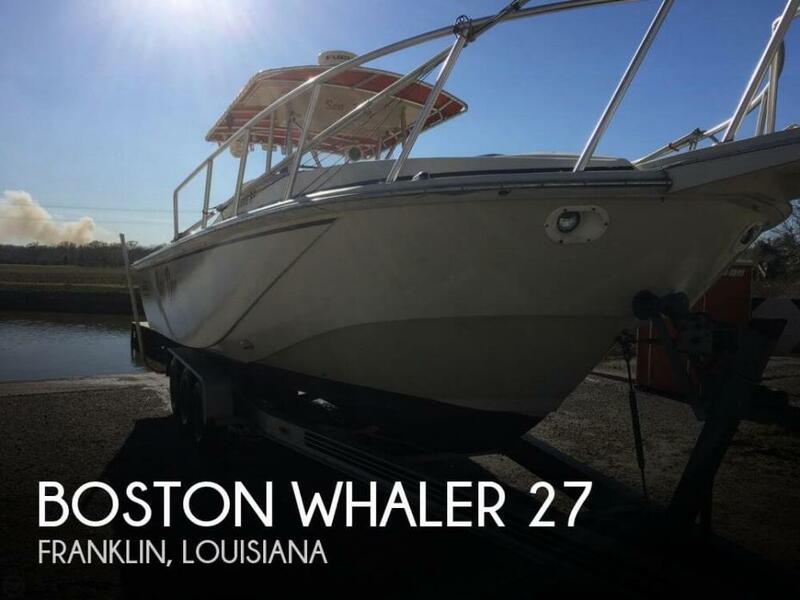 Stock #124021 Whaler Tough Fishing machine, Ready for the water, solid hull and trailer! If you are in the market for a cuddy cabin, look no further than this 1986 Boston Whaler 27, just reduced to $16,000 (offers encouraged). 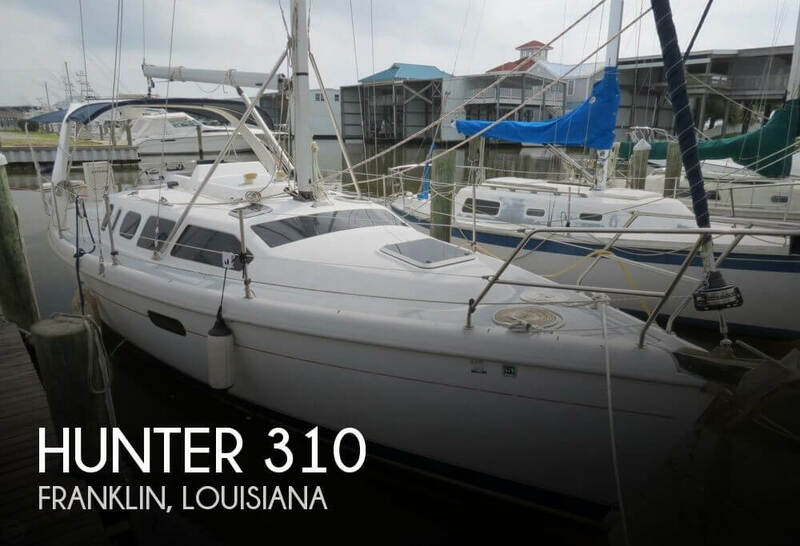 This boat is located in Franklin, Louisiana and is in decent condition. Reason for selling is not using enough. 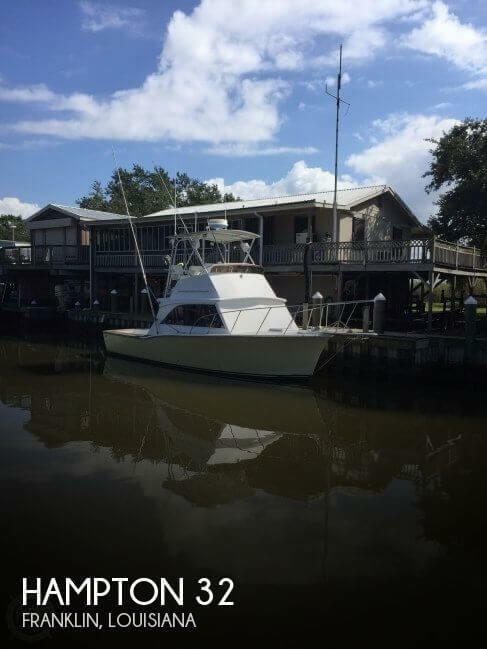 1968 Hatteras Convertible This 45' Hatteras, with Tuna Tower, is the IDEAL Offshore Sports-Fisherman's Yacht. 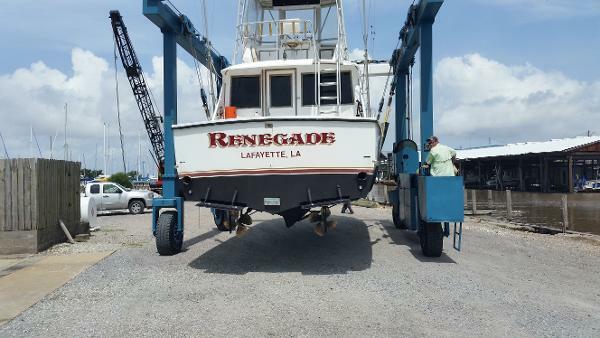 The "Renegade" has landed many Tuna, Wahoo, Snapper, Etc. Having controls on both the Bridge & Tower, is a real plus. A large cockpit makes for fighting the "BIG ONES" easy. The interior layout is both comfortable and serviceable. 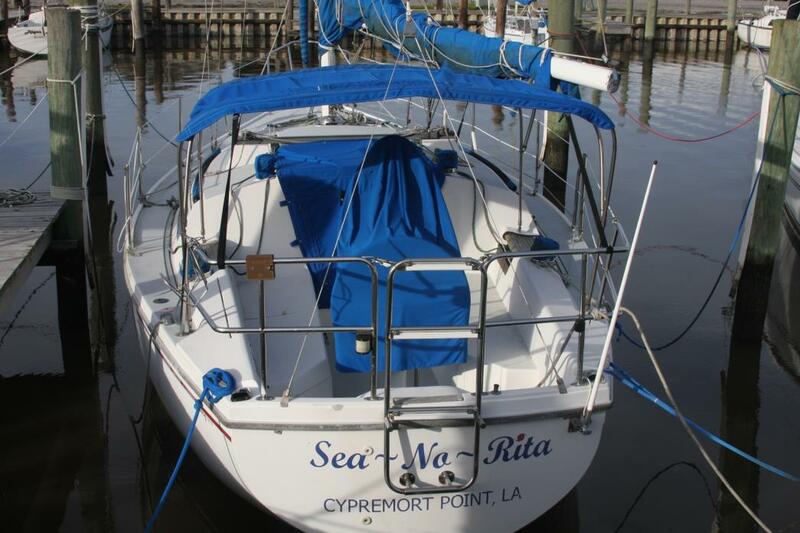 Hatteras is known for thick, heavy Fiberglass hulls, allowing for great seaworthiness & easy handling. All reasonable offers considered.